Max absolutely loves bowling, but it's something that we never seem to get around to doing very often. 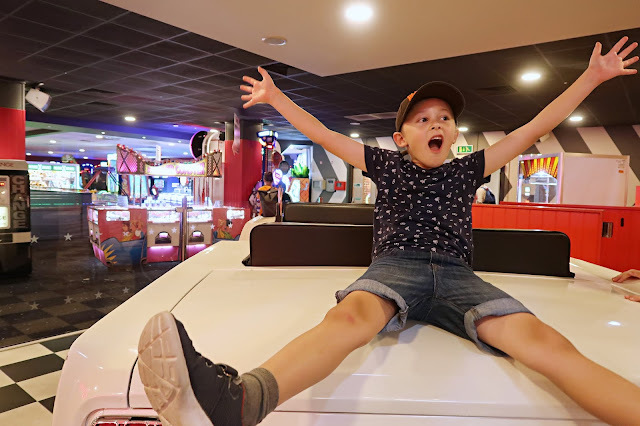 So when Emma over at the fantastic Bournemouth Bloggers invited us and some other mums and kids to enjoy a game at Hollywood Bowl, we couldn't wait to get stuck in! 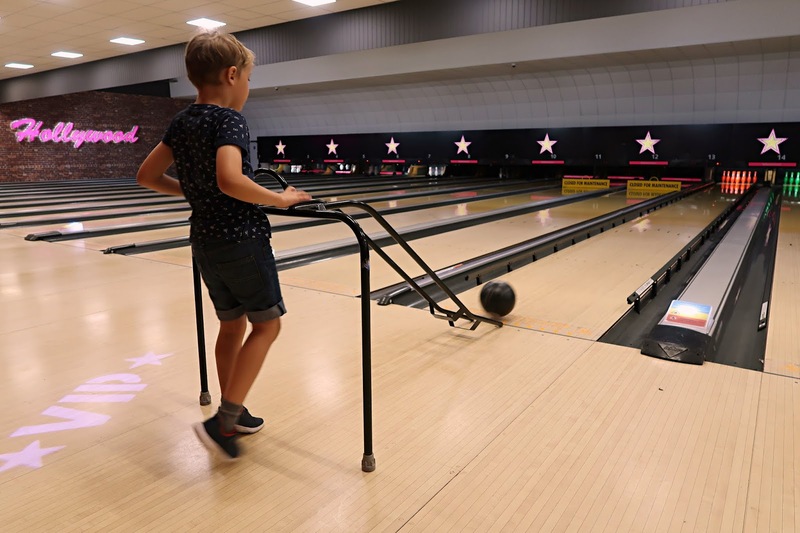 Based in the heart of the Tower Park complex in Poole, Hollywood Bowl is everything you want in a bowling alley. Bright lights, loud noises and lots of fun to make you feel like a kid again for an evening. We were lucky enough to be appointed the new VIP lanes to play on. These VIP lanes are set up in the middle of the bowling alley and definitely stand out from the crowd. With plush seats, sparkling lights and curtains and barriers to give you that VIP treatment we couldn't wait to get stuck in. The kids were super excited and kept running around telling everyone that we were VIP's. If you can't make a bowling trip special for the kids, when can you! With a host on hand to help us with any problems, we got stuck in with splitting up into teams. Of course it turned into an adults vs kids match! 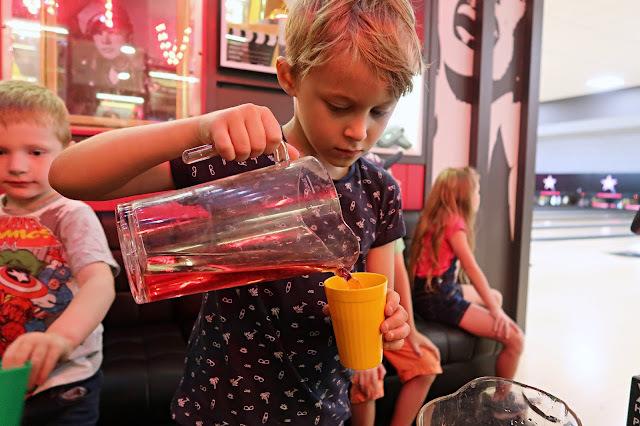 We were kindly brought along some drinks and juice for everyone to enjoy whilst we were playing, and I can honestly say our host was fantastic with sorting out any issues we had (the pins got stuck a couple of times in the game!). The kids did a fantastic job at playing really well together, taking turns and helping when the smaller ones needed a boost. It was so nice to see them getting along so well and they had an absolute blast trying to score a strike. Us parents got a little bit competitive (at least I did!) and I loved the fact we could chat whilst knowing the kids were safe in the VIP area. We were also kindly gifted a meal each at the Hollywood Bowl diner. 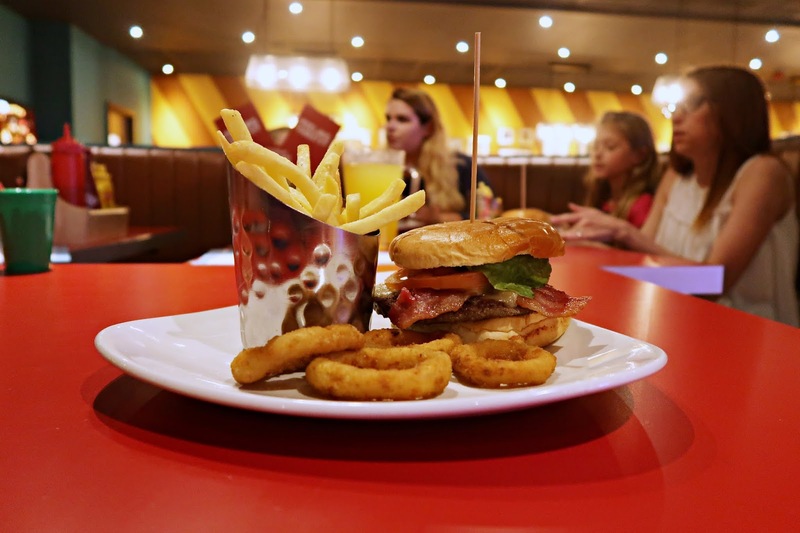 Max couldn't wait to tuck into his burger (of course!) There was plenty to choose from and from the sounds of everyone's silence whilst eating, it was thumbs up all round! They even kindly got the kids a bowl of ice cream each to finish a fantastic evening of playing. It was such a brilliant night, a great time to meet new friends and catch up with old ones. For the kids to have a fantastic experience just before they break up for summer. We enjoyed it so much that we are looking to see how much it will be to hire the VIP lanes for Max's birthday! It made our trip that little bit more special and it's something he hasn't stopped talking about since. Thank you Hollywood Bowl for inviting us, and Emma from Bournemouth Bloggers for arranging our trip. We can't wait to hang out again soon!